When something goes wrong with your plumbing, it can be inconvenient at best and disrupt your operations at worst. That’s why our team of licensed commercial plumbers is on call, ready to get you back in business as quickly as possible. 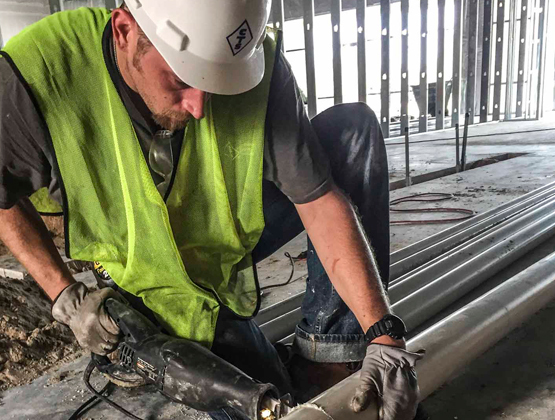 From drain cleaning and pipe repair to complex industrial plumbing projects like steam and condensate systems, you can trust our experts to get the job done right. We serve businesses in Wichita, KS and surrounding areas, including Andover, Derby and Haysville. Day, night, or weekend, CTS has got you covered. We offer same day service, and are on call 24 hours a day, 7 days a week. Just call our plumbing service hotline. Our focus on long-term relationships ensures expert work, integrity scheduling, and communication that keeps you informed, confident and worry-free every step of the way.